At the young age of seven, Diane Stockard sold hand painted Christmas cards to make money for her family, after their house burned down. With no means to purchase paint, Diane made her own from berries, ashes, dirt, shoe polish and anything she could find to put on paper. The cards were a success and proof that she had an amazing gift. She’s been painting ever since. Diane and I met through the Williamson County Cultural Arts Commission. Her art has a strong connection with music so we bonded instantly. Her mother was an artist and came from a family of jazz musicians. Diane says she gets her artistic talent from her mom, and she is inspired by the music. The majority of her work is music related, and all of it is sentimental to her. 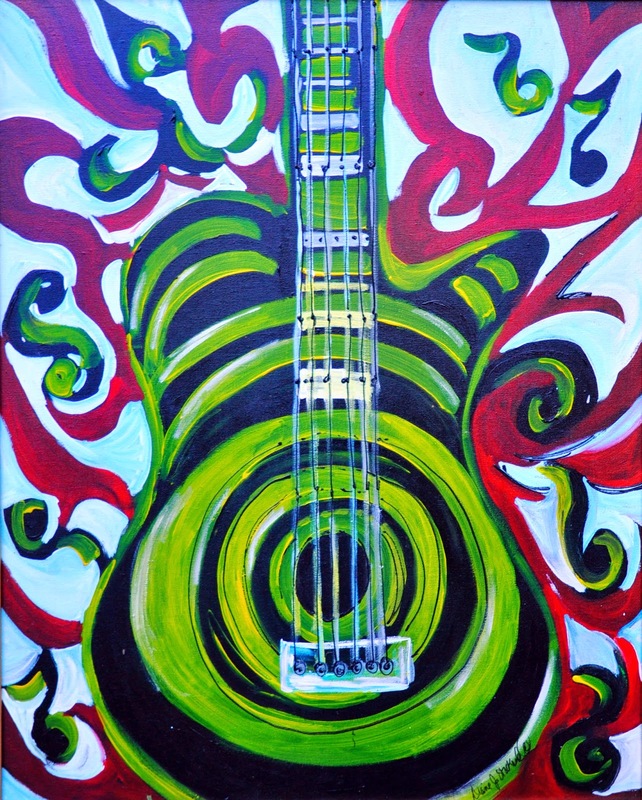 Sometimes she incorporates actual instruments into her paintings. After the Nashville flood in 2010, damaged instruments were donated to Diane so that she could turn them into art. These were definitely sentimental to Diane and many others. “I believe that anyone who buys my art is buying a piece of my heart,” Diane said. Diane has connected with many musicians over the years and given them portraits of themselves. She tends to focus on blues singers. 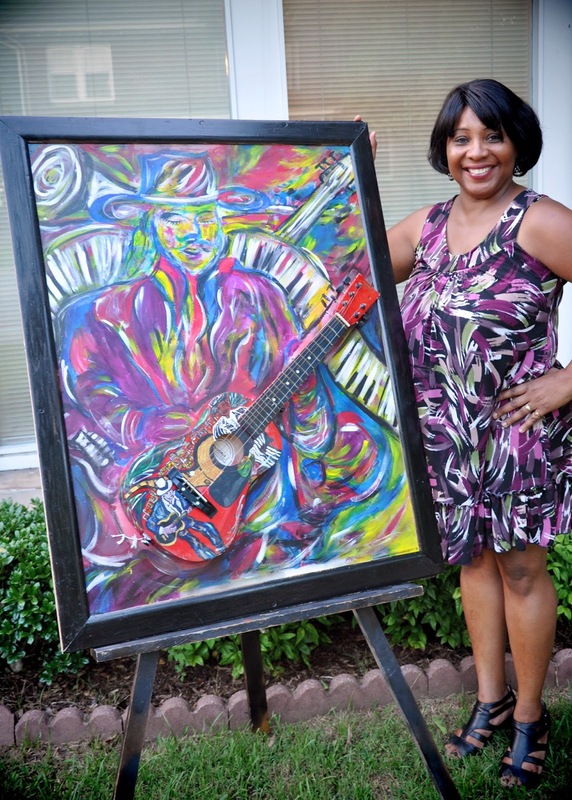 Buddy Guy, Johnny Lang and Stacy Mitchart all have portraits from Diane. Her hope is to one day have a gallery display of all the great blues musicians. Of course, she’ll be adding my hometown man, Muddy Waters. 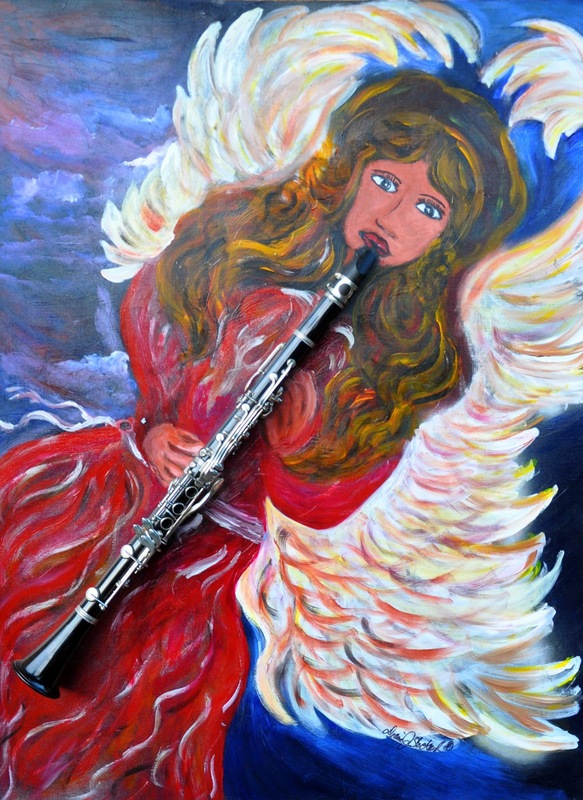 Although they are not music related, Diane’s most meaningful pieces are “Glowing Angels” that she paints in honor of her mother because she passed away from cancer. Right before her mother died, she asked Diane to open the window for the light to come in. The same thing happened with her grandfather. She believes that they both saw angels. Diane donates profits from the sell of the “Glowing Angels” to the American Cancer Society. “My art is not just for me,” Diane said. “It’s to give back to honor my mom.” She does additional fund raising for non-profits through her art. She does a lot for Autism, the fight against AIDS and the Boys and Girls Club. Diane has put on several art and music shows to give back to the community. Diane has given herself the title “Artist of the Glowing Light” because each of her paintings have some kind of paint that will glow in any room with a light shinning on it. It adds an amazing effect that makes her art even more beautiful than it already is. “Art has always been a blessing and a way to provide for my family,” Diane said. After spending time with her, there is no doubt that she is truly passionate about her art and what it means to her. She seems to have found healing from the loss of her mother through her talent, and I know her mother looks down from heaven on her with pride. 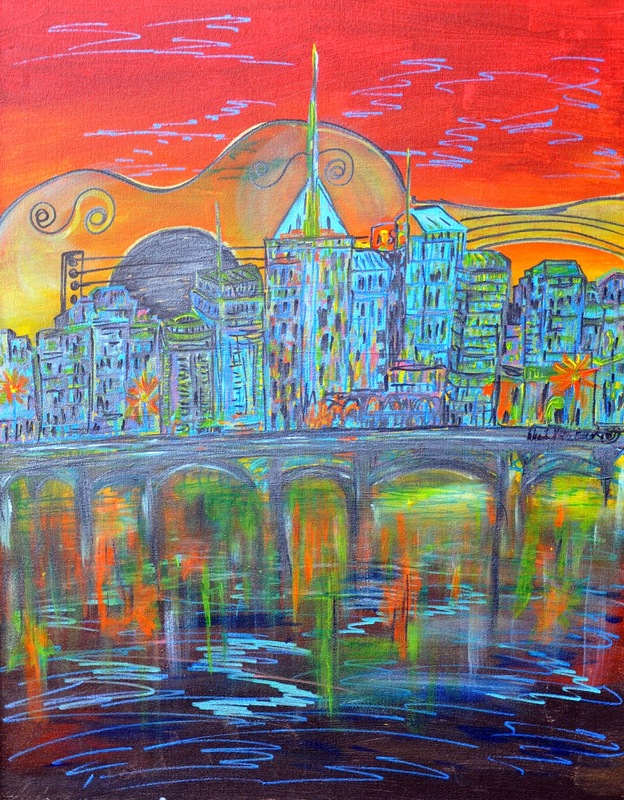 You can find out more about Diane and see her online gallery at www.dstockard.fineartstudioonline.com.